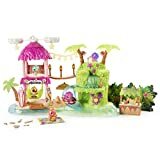 LIGHT-UP PLAYSET WITH SOUNDS: You're invited to the Hatchimals CollEGGtibles Tropical Party Playset! 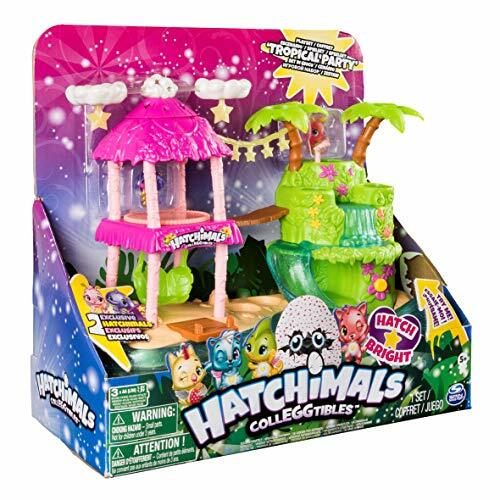 With light-up stages, twinkling stars and multiple light effects, this playset really shows how your Hatchimals shine! 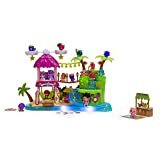 You can even listen to fun party music and unlock secret musical effects! 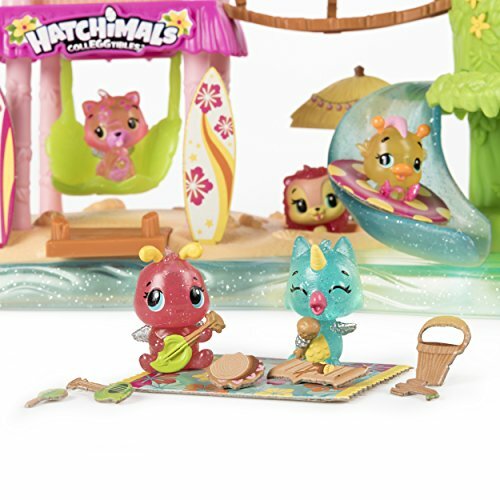 With half-volume mode and lullaby mode, your Hatchimals can throw smaller parties too! 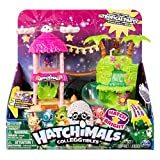 30 PLACES TO PLAY AND DISPLAY: There's so much for your Hatchimals to explore! 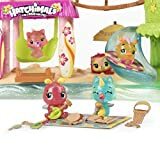 Your friends can spin on the dance floor, slide down the twinkling waterfall, hang out on the dock or twirl in the spinning starlight cloud nests! With two exclusive Hatchimals included, you can play straight away! How will you start the party? DECORATE YOUR PLAYSET: Use the papercraft playset (included) to create a snack shack, filled with delicious tropical drinks that your Hatchimals will love! 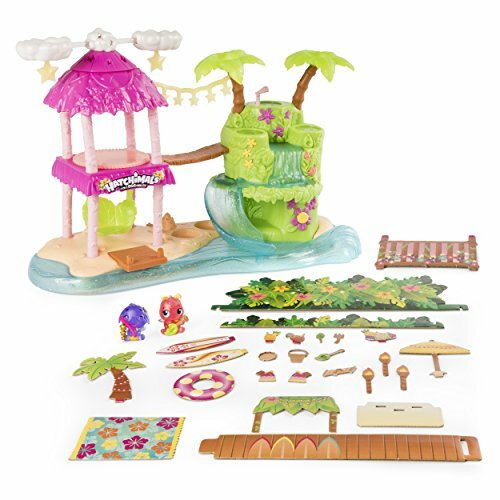 You can even add adorable accessories like surfboards, pool floaties and umbrellas to your playset! 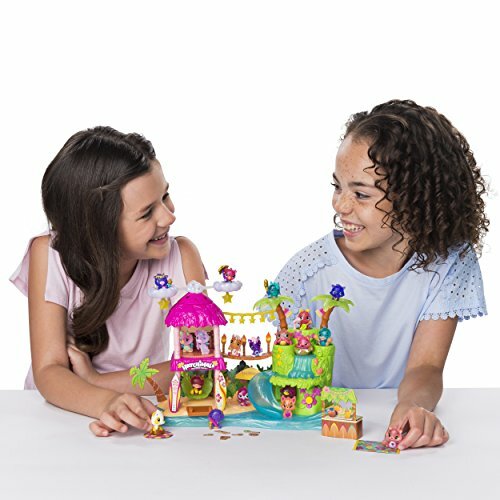 What stories will you tell? 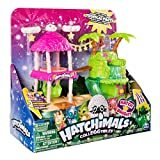 Hatchimals 6041334 "Colleggtibles Egg Carton 12 pack - Season 2"
It's a tropical party - and you're invited! With magical lights and musical effects, this playset shows how your Hatchimals shine! 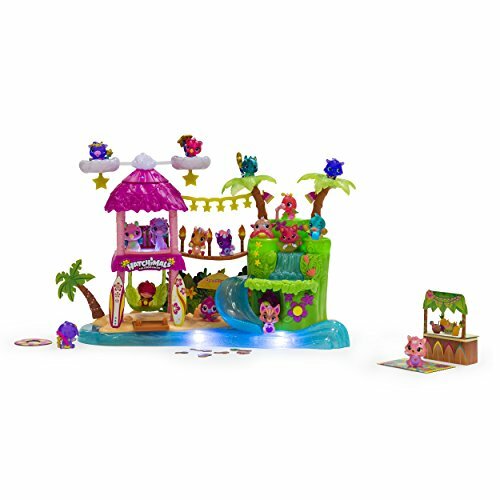 There are two ways to get the party started press the pink flower and your playset will light up and play fun party music! For more surprises, head to the main stage! 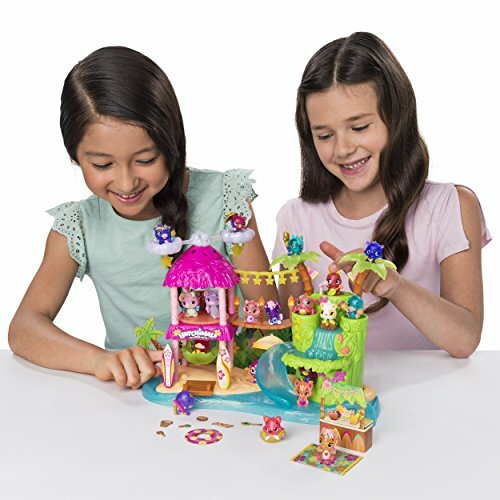 Press the flower and stage together to unlock secret sounds! It's so easy to start the party! 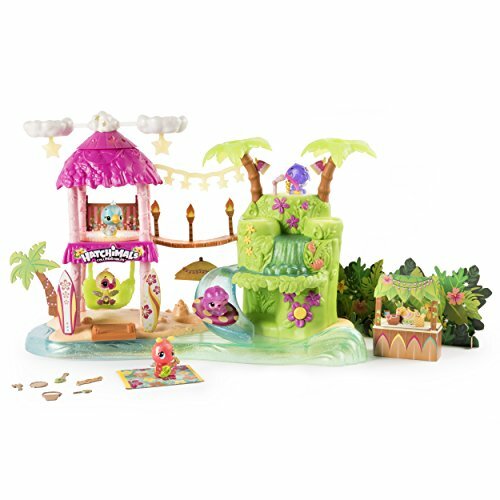 With three light-up stages, the band can entertain while your two exclusive season 4 Hatchimals Colleggtibles (included) twirl on the spinning dance floor! 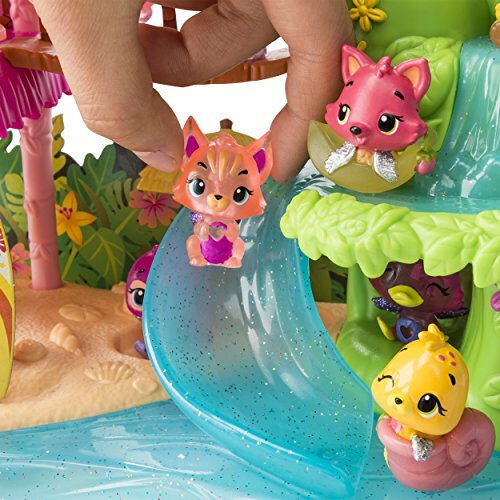 Send them floating up to the cloud nests and spin to discover even more surprises! 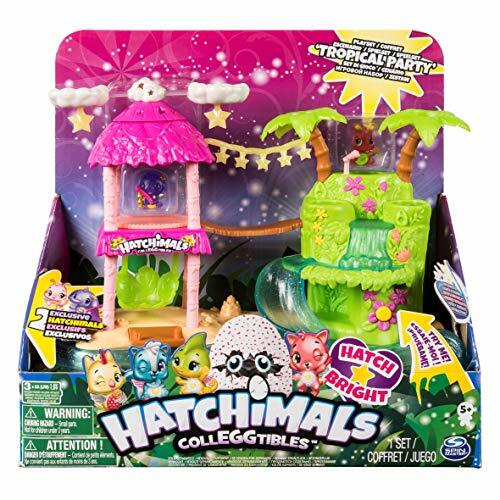 As the clouds whirl around and around, the stars will light up, twinkling while your Hatchimals have fun! From the cloud, send your characters sliding down the glittering waterfall, straight into the twinkling ocean!